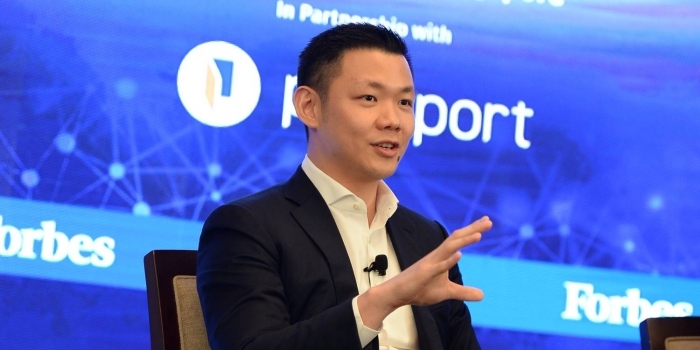 Editor’s Note: This article is contributed by Shannon Lee, a Year 3 Medical Student at the NUS Yong Loo Lin School of Medicine. 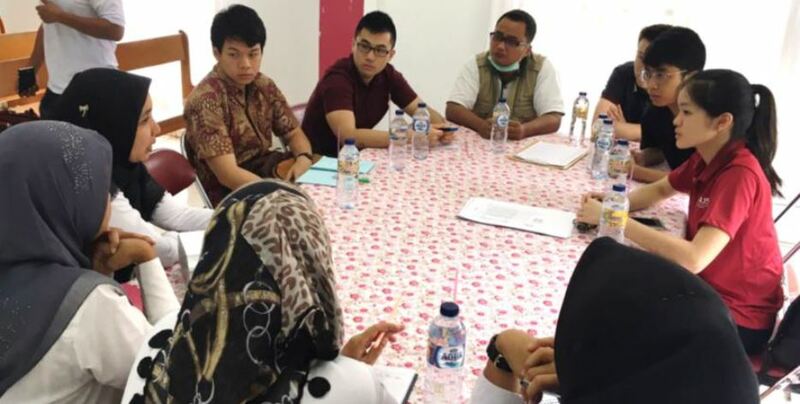 A Tanoto Foundation scholar, Shannon served as the leader of the 42-man team of volunteers for Project Sukacita 2018. “Sukacita” – an Indonesian word which means “joy”, was started six years ago as an initiative to spread happiness to the children of Pangkalan Kerinci, Riau, Indonesia as well as build camaraderie among Tanoto Foundation scholars in Singapore. Project Sukacita is a way for scholars to give back and pay-it-forward, something which is constantly encouraged by Tanoto Foundation’s Chairman and Founder Mr Sukanto Tanoto. Started by Singapore Management University (SMU) alumna and former Tanoto scholar Christiana Wijaya, Project Sukacita has over the years expanded to include volunteer organisations as well as the Foundation’s scholars from the Yong Loo Lin School of Medicine at the National University of Singapore (NUS) and the Wee Kim Wee School of Communications at Nanyang Technological University (NTU). Each year, scholars and volunteers from Singapore as well as many children from the communities in Kerinci participate in programmes that incorporate elements of developmental assessment as well as sessions on improving children’s health and well-being. This year, with the biggest team in Project Sukacita’s history (12 from SMU and 30 from NUS), we took a bold step to re-orient the programmes, wanting to expand their reach and deepen their impact. What was once a 2-day visit to a day care centre to conduct educational activities and developmental assessments has now morphed into two weeks of interactive educational activities in several early childhood education centres, leading up to full day of health screenings for families. The transformation of the programmes was prompted by a challenge from Christiana who asked us to think of a “bigger and better” way of engaging the communities. “However you evolve the project, remember that the ethos has to remain the same – it’s our way of giving back and doing good for communities,” she said. The journey began a year earlier – on 4 October 2017 – at a meeting in a coffee shop near the Foundation’s Singapore office. All four of us in the organising committee quickly realised that none of us knew anything about Kerinci’s healthcare landscape nor had any idea what were the requirements to execute a health screening in another country. But these did not matter as we were not only resolved to blaze a trail for this year’s edition of Project Sukacita, we knew that we had the support of the Tanoto Foundation. 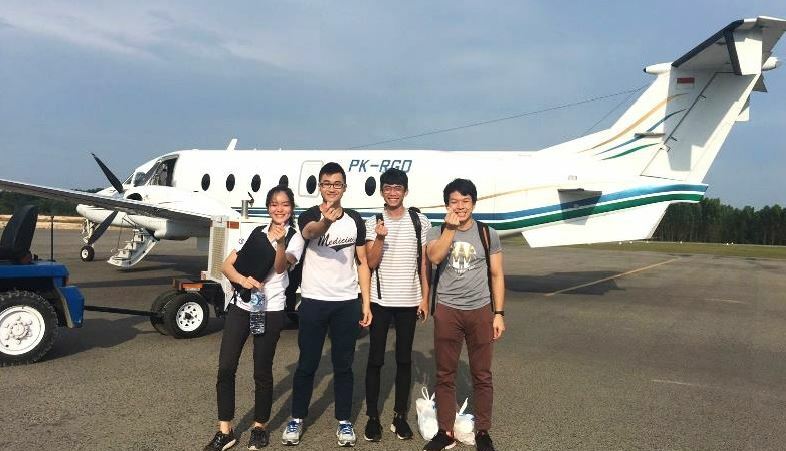 Determined to seek advice and know more about Kerinci, we set out to do what had not been done before – organise a recce trip to better plan our activities. We did not mind when we were informed that the recce trip could only be made a few days before Christmas. When December came, we were ready to discover and identify the opportunities and challenges on the ground. During the trip, we met with doctors, nurses as well as teachers across Kerinci. We saw how children were examined by medical professionals. We brainstormed with communities and our Foundation partners until the wee hours of the morning. Before we knew it, we were back in Singapore and we had to return to our university lives. But we had a new realization for Sukacita following that recce trip – the improvement of children’s health, hygiene and nutrition must not only be done via seminars and trainings, but must be also reinforced at home. We realised that the support of parents is crucial to close the loop and result in a lasting behavioural change. We also knew we had to convince them to show up so that we could talk to them. We thought that there was no better way to do this than to plan a big health screening for kids. With this clear objective in mind, committees were set up to brainstorm, define and refine our plan of action. May 2018, the month of our trip, came soon enough. Beginning with the team from SMU, the project kicked off by engaging communities through several interactive educational activities. Soon the team from NUS arrived, further accelerating the momentum towards the final health screening day. Excitement was mixed with apprehension. These communities’ first ever health screenings were being organised and managed by our team of 42, some of whom were first time volunteers. Needless to say, we were all hoping for its success. 12 May 2018 – the day of our health screening, finally came. 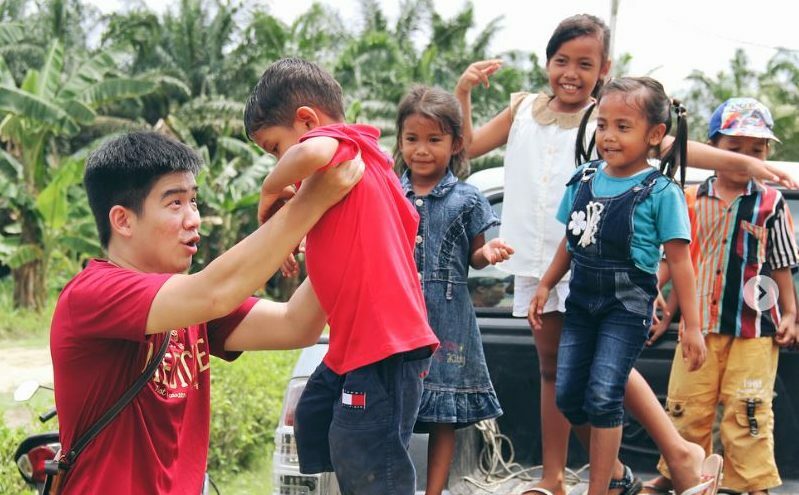 When we arrived at the site in Rantau Baru, we saw at least 10 families who were already waiting for us. We steadied our racing hearts, focusing on our goal to not let them down. Not long after, more families arrived. We soon found ourselves addressing several bottlenecks. Thankfully, volunteer nannies and other team members stepped up and managed the crowd flow. I was so heartened to see that throughout the day, volunteers and partners lent a helping hand, covered each other during lunch breaks, sometimes delaying these breaks for hours to allow one more family can proceed to the next station. Clockwise from top-left: (1) The team preparing to set off for health screening day. 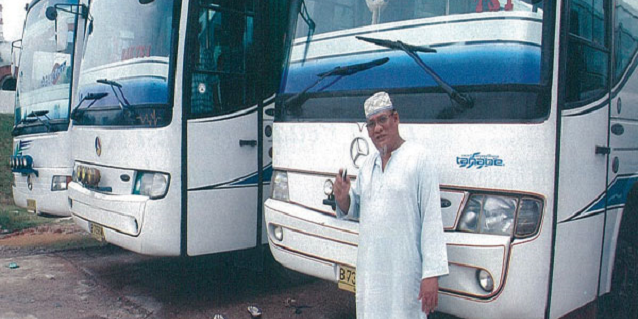 (2) Arrival at the site in Rantau Baru. (3) Managing the bottleneck during the screening. (4) Waiting area for parents and their children. We wanted to maximise the opportunity of parents turning up for the screening. We offered them advice along with sets of medications for their families’ common ailments. We screened the adults for symptoms of hypertension and diabetes mellitus, while checking their children for any dental, ear, skin or eye problems. We kick-started their connection with local doctors and encouraged post-visit follow-ups. We discussed how issues such as tooth decay can be prevented with the simplest of hygienic practices. Lastly, we distributed reusable lunch boxes as part of our “Eat a Balanced Meal a Week Programme” to encourage them to prepare balanced meals. Partner schools will support this initiative by supplementing Saturday lunch with fruits and milk, as well as monitoring the contents of kids’ lunchboxes. Although we planned for the screening to end at 4pm, we extended it by an hour and a half to finish at 5.30pm, serving a total of 111 families and 123 children. The delighted and grateful faces of everyone banished our exhaustion and filled our hearts with joy. Yet, we also realised that what we have done was merely scratching the surface of what is possible. Changing behaviour requires a deep understanding of their operative mindsets and empathy for challenges they face. It also requires time. Our research and development committee will therefore be working hard to study the questionnaires, interviews and screening data gathered from this year’s project. We hope to return next year with more targeted and relevant proposals. Left: Distributing lunch boxes to parents for the “Eat a Balanced Meal a Week” programme. Right: Parents consulting local doctors who were assisted by medical students. Although our team has returned to Singapore, the programmes we launched continue to be delivered in Rantau Baru daycares and kindergartens. These include the Eat a Balanced Meal a Week programme, the regular and formalised monthly ear, skin and BMI screenings, as well as the monthly meet-the-parents meeting. For the monthly screenings, we helped develop a system to both examine, manage and record information. Hopefully, this will result in a reduction in the number of cases of illnesses as a result of better management. For the monthly meetings, we encouraged parents to work with the partner teachers to co-ordinate efforts to ensure that behavioural change is sustained and reinforced. We are grateful to everyone who helped us in this endeavour – our team volunteers, our partner teachers, our community leaders, as well as our dear participants – the many parents and children who welcomed us during our 2-week stay. We have all come so far from that October 2017 coffee shop meeting. But we know that with a clear vision and desire to always give back, we will be able to go even further together. 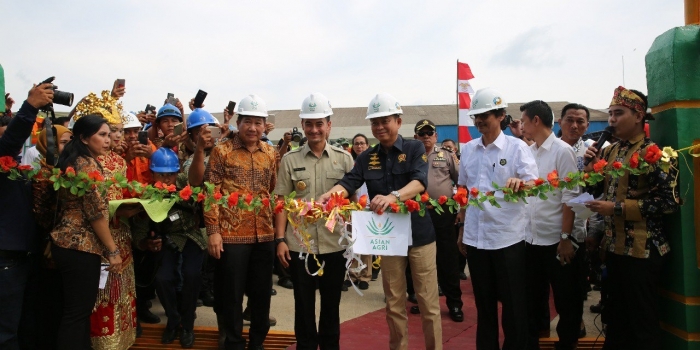 Tanoto Foundation was founded by RGE Chairman Sukanto Tanoto and his wife Tinah Bingei Tanoto. It provides scholarships and supports medical research in Singapore for diseases prevalent in Asia. 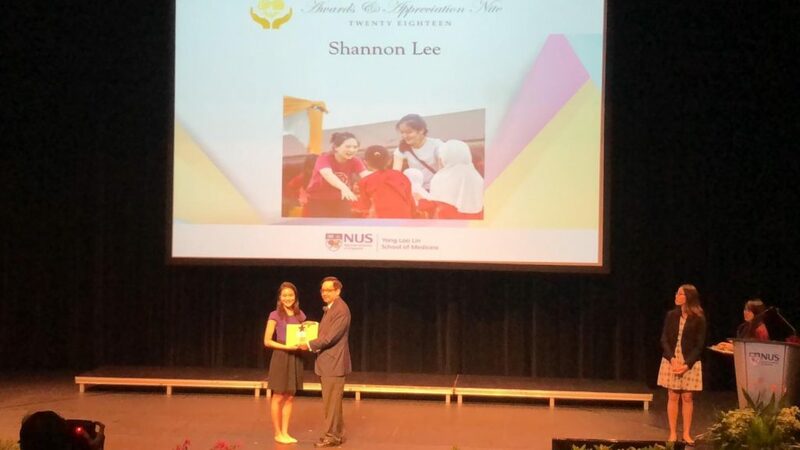 Ms Shannon Lee received the NUS YLLSoM Excellence Award 2018 on 26 Oct 2018. She was recognised for her efforts as project leader in Project Sukacita. Congratulations Shannon!